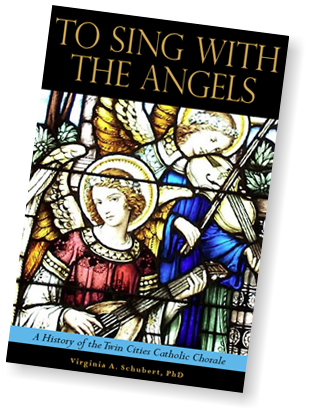 Saint Cecilia Publications Presents: To Sing With The Angels! A signature volume chronicling the history of the Twin Cities Catholic Chorale, founded in 1955 by the then Father Richard J. Schuler. The Chorale is now in its 42nd season of singing the great Classical and Romantic Masses of composers like Mozart, Joseph Haydn, Beethoven and Schubert as a part of the liturgy of the Holy Sacrifice of the Mass in Latin at the Church of Saint Agnes in Saint Paul, Minnesota. To Sing With The Angels is Now Available!